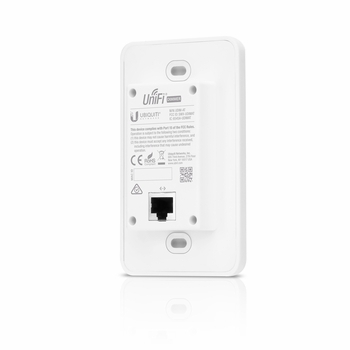 The UniFi Dimmer is a smart in-wall dimmer switch for use with the UniFi LED Lighting System. Powered by PoE, the UDIM-AT is designed to fit in an electrical switch box and networked by Ethernet. Use the intuitive UniFi LED App and EoT Controller to configure the UDIM-AT to control a defined group of UniFi LED Lights.